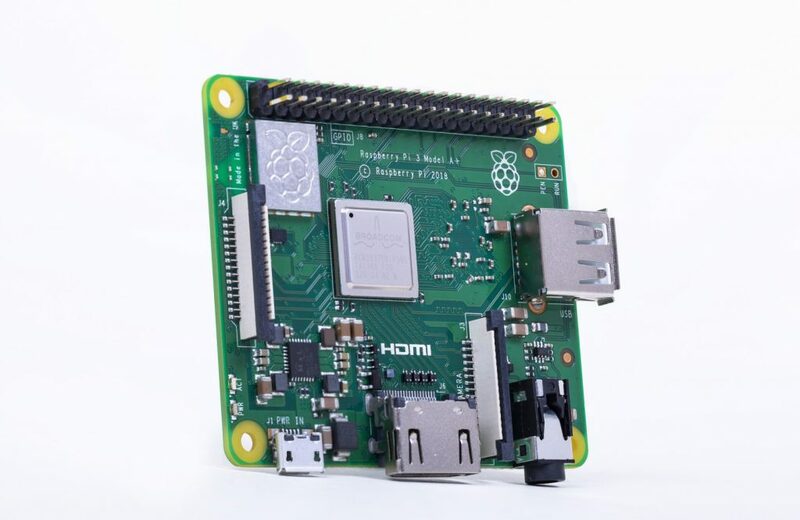 The Raspberry Pi Foundation have launched their latest offering. And no, it’s not the Raspberry Pi 4! It comes in the form a reduced cost version of their Pi3 B+. But does the reduced specification still make it an attractive purchase for the retro enthusiast? The Raspberry Pi 3 Model A+ is a trimmed back, smaller form factor board than the rpi3 B+. Most notably, we still find the same quad-core 1.4Ghz Cortex A53 processor but a reduced 512MB LPDD2 SDRAM. Other key differences include the removal of the Ethernet port completely with just network connectivity being possible via onboard wifi. The rpi 3 A+ has a single USB 2.0 port, significantly less than the rpi 3 B+, not ideal but is certainly a space saver. For retro fans, it is debatable that this cost reduced model is as attractive as the popular Pi 3 Model B+. Aside from the reduced RAM, another concern will be the reduced number of USB ports. It will mean fewer peripherals can connect to the device without the need for additional hubs. Retro enthusiasts who are big on low-cost projects may get a kick out of it’s smaller form factor and equal processing power to that of the Pi 3 B+. Indeed,half the fun of a retro gaming build can be squeezing as much potential out of a small as possible device. Maybe the rpi3 B+ will be the perfect compromise between the Raspberry Pi Zero and the rpi 3 B+ for retropie builders. Our verdict is that the Pi 3 A+ balances size and power considerably well. Possibly one for Retropie compact system builders only, it is not an upgrade as such. All things considered, another fine addition to the Pi family. However, Pi 3 B+ owners are left hungry for the next-gen Pi! This hardware revision serves more of a purpose for those pushing the boundaries of compact size. Where to buy the new Raspberry Pi? Check out the official Raspberry Pi website for details on where to buy. Alternatively, you can quickly check availability on Amazon & ebay by clicking the links below. The Raspberry Pi series of single board computers first launched back in February 2012 by the Raspberry Pi Foundation. The Pi takes inspiration from the BBC Micro’s introduction to the British education system in 1981. The Pi is being utilised the same way across Schools and Universities, with the added benefit of being extremely affordable. There are now a number of versions which cater for those after the smallest form factor, through to more powerful solutions. The systems are extremely popular within the retro gaming community. By combining the popular retropie platform and the Pi, you are able to build a compact, powerful retro gaming device. The Raspberry Pi is by design, versatile. The answer to the question of what to with Raspberry Pi is very much up to you!